We are a cat family, always have been, and we love them. Thankfully we are also blessed with some mild tempered cats because the kids adore them – SO lucky because Jude and Teagan love to try to cuddle their kitties! Our house seems so empty with out our multiple cats. Sophie is our “old” lady, give her a nice lap in the sunshine and she won’t move for hours. We have had her for over 10 years. Being part Siamese she has a bit of an attitude but is the most gentle and cuddly kitty ever. Sundae is our kitten, we have had Sundae for just over a year. She certainly reminded us what it was like to have a kitten in the house! She loves to play and run but will sit by you and purr so loud. Oh, and sometimes she acts more like a dog – lays on her back and wants her belly petted!! So funny!! Cats really have fun personalities. What a crazy pair they are. Just like the rest of the family, I like to make sure that the cats are happy and healthy. 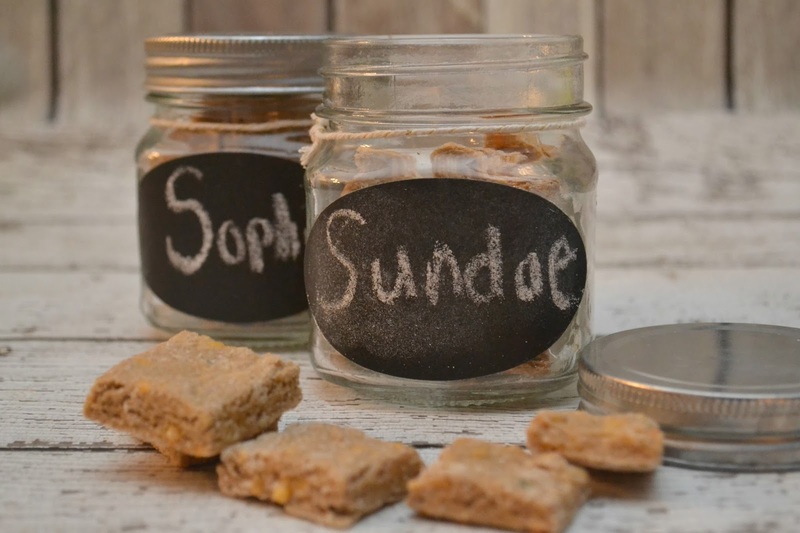 So much so, that I decided to jump into the world of homemade treats for Sophie and Sundae. 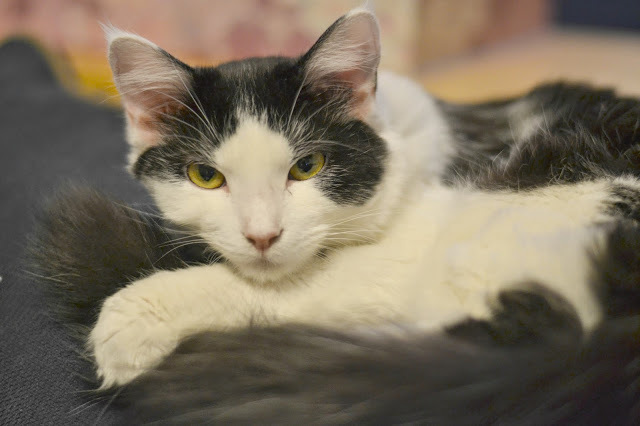 Cats are super smart and super ornery – every evening during the kids’ bedtime routines both of the cats run under their beds. We have never let the cats sleep in the kids rooms so we keep their doors shut which means we have to get them out of each room before bedtime is complete. The cats KNOW this!! The only way we can get them out of the corners from under the beds is to shake bags of treats. I started thinking about the amount of treats these crazy cats were getting and I wondered if I could make some healthier homemade options for them. 2. Puree tuna, egg and vegetable oil in food processor. Mixture should be a smooth paste constancy. 3. 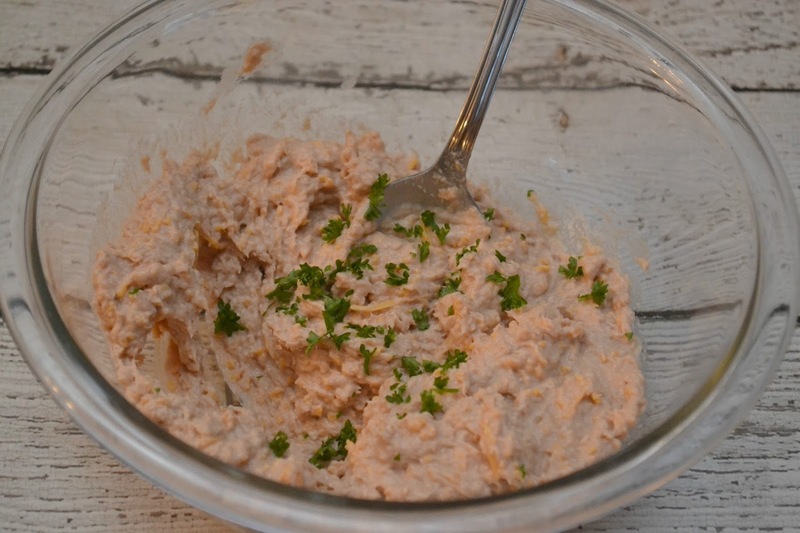 Add in cheddar cheese and parsley and puree until they are evenly distributed through the tuna mixture. 4. Pour paste into a medium mixing bowl. Slowly add the oat flour and mix until it is blended. Dough is dry in consistency. 5. On a piece of parchment paper, roll out the dough into a 1/2 inch thick piece of dough. 6. 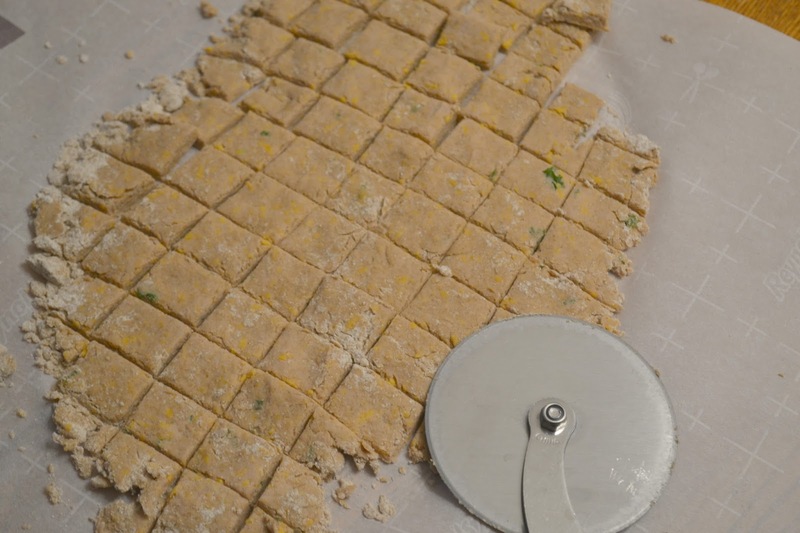 Using a knife or pizza cutter cut the dough into 1×1 inch squares. 7. Place each square on a baking sheet lined with parchment paper. 8. Bake for 15 minutes at 350 degrees. 9. 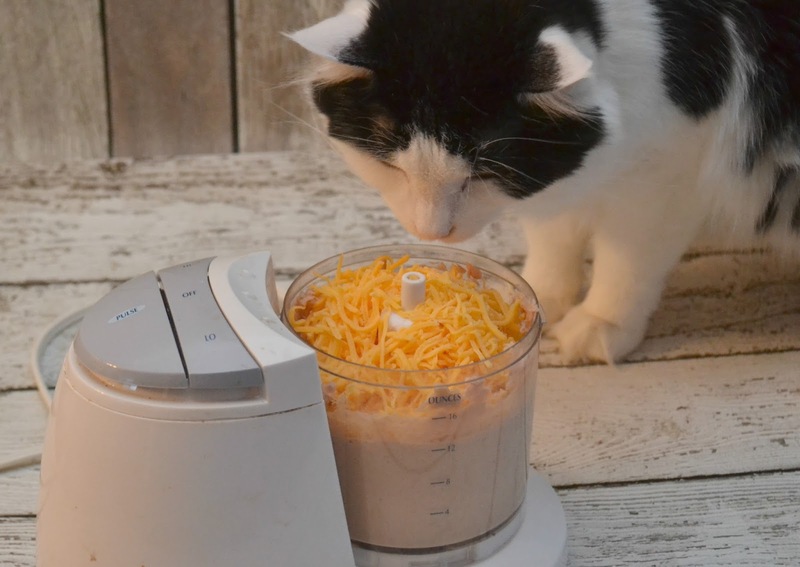 Let treats completely cool before letting your cat enjoy their new treat! Beware – the cats will want to help you with this recipe creation. Funny that I had to keep telling the furry ones to stay out of the mixing bowl – usually it is the KIDS doing this! I love making sure that our cats are given the very best, this also includes their bathroom facilities! Having multiple indoor cats means we have had to find the right kind of litter for them and our house. We want a litter that not only keeps the litter box stink away but the dust. The worst part about cleaning the litter box is the dust!! Yuck! 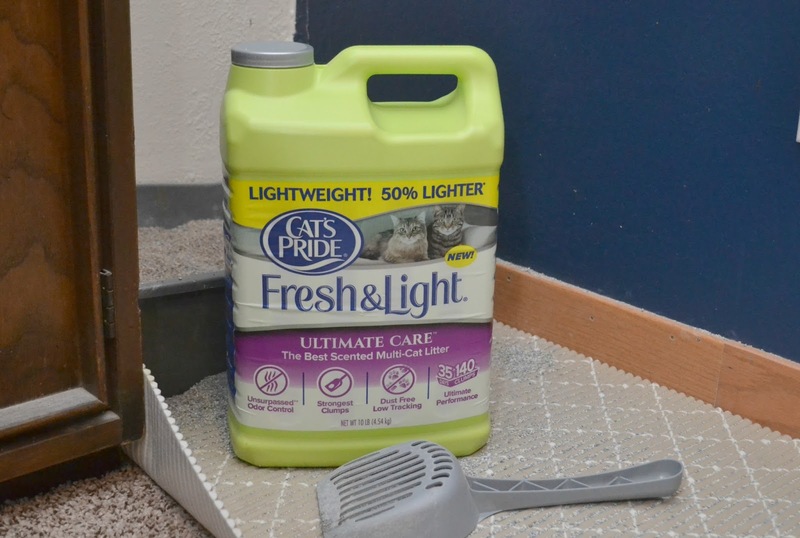 Cat’s Pride® Fresh & Light Ultimate Care® Scented Multi-Cat Scoop Litter has changed the way we do litter for Sophie and Sundae. Not only do I notice less dust but the light fragrance is just enough for us to not notice that cat box smell. Our litter box is in our downstairs family room thanks to the 10+ day odor control & powerful absorption (*Based on laboratory testing, when used as directed) we never have to worry about that cat box stink! Ultimate Care® has strong clumping and is about 50% lighter (†See packaging for details) than conventional litters which makes the chore of keeping the box clean so much easier! Being a pet parent is just as important as being a parent for kids. These precious animals need us. This is why I am thankful that Cat’s Pride® has found a way to help pets by supporting a few foundations. Cat’s Pride® is proud to partner with the Jason Debus Heigl Foundation™ to help end the needless suffering of animals. A portion of every sale of Fresh & Light Ultimate Care® supports the Foundation and their mission to end animal cruelty! 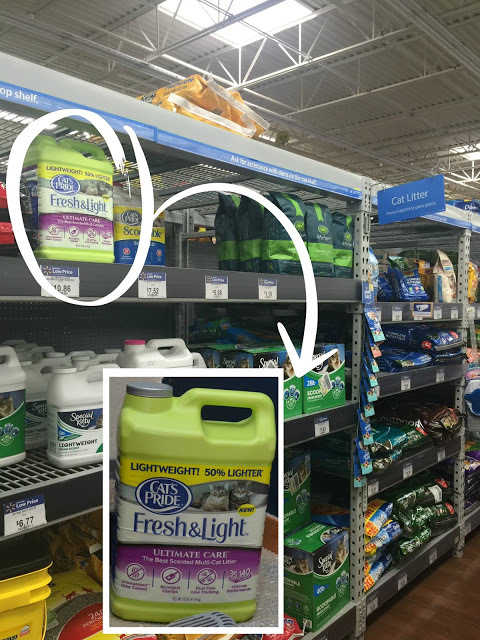 When I head to Walmart to pick up our litter I am happy that some of the purchase is going to help those animals. Also, Cat’s Pride® partners with and supports the American Humane Association! Something to keep in mind when you are purchasing your litter next time. Before heading to Walmart make sure you download this coupon to try Fresh & Light Ultimate Care® for yourself and then also enter the sweepstakes below to win a Walmart gift card!!! No Purchase Necessary. The #UltimateLitter Sweepstakes begins on 3/15/16 at 12:00 A.M. ET and ends on 4/25/16 at 11:59:59 PM ET. Legal residents of the 50 US/DC only, 18+. Void where prohibited. For Official Rules, click below. 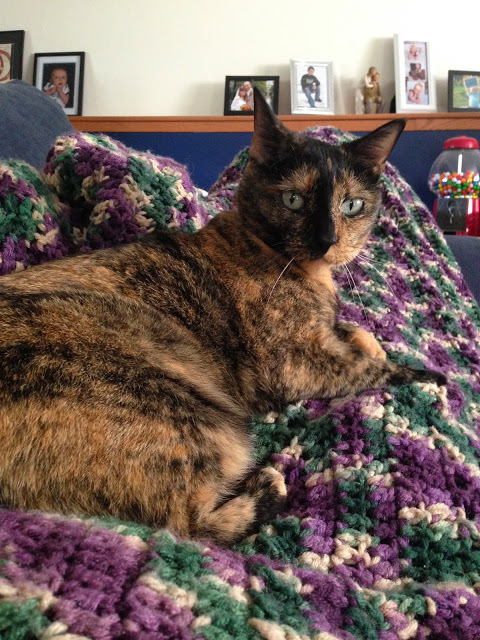 What steps do you take to keep your cats happy and healthy? I must make these for my babies. I wonder if they would eat them or turn their nose up as they are spoiled and picky. Also good to hear this litter works well. Sophie and Sundae are two lucky kitties! 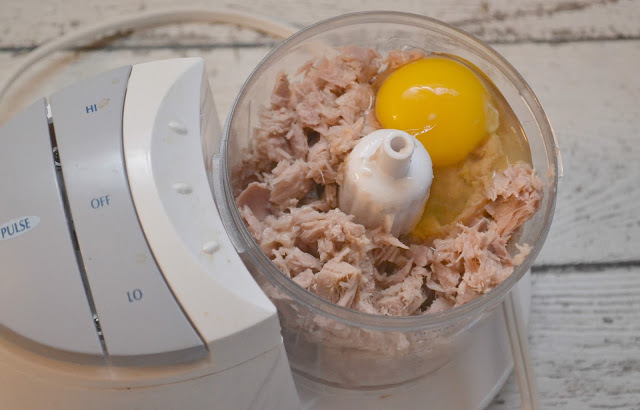 My husband sometimes makes tuna for our dog. He loves it. 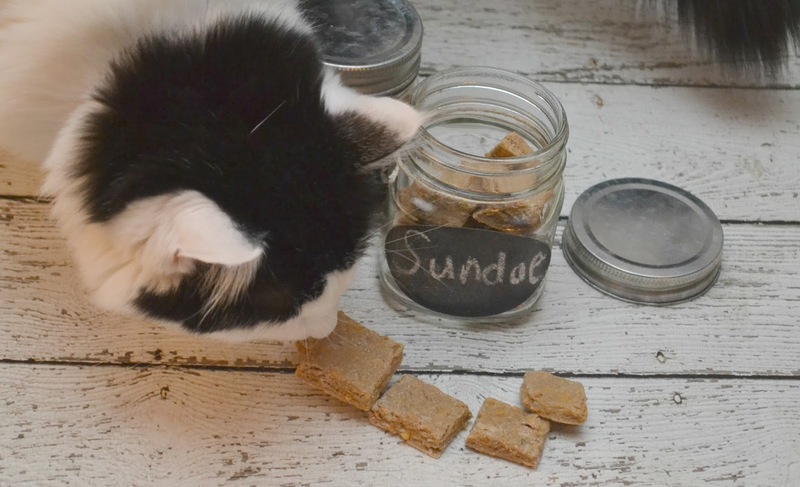 I've heard of homemade dog treat, but never cat treats! This is great! Going to have to try this! BTW, your cats are so cute!! Your cats are beautiful! I have to try those treats for my cats! They might like them. Thanks for the recipe! Before we had our human babies, we had fur babies — 3 kitties, all inside. I hear you on taking care of business there! These treats look like something they would've loved. I don't have any pets, but this sounds like a great idea. 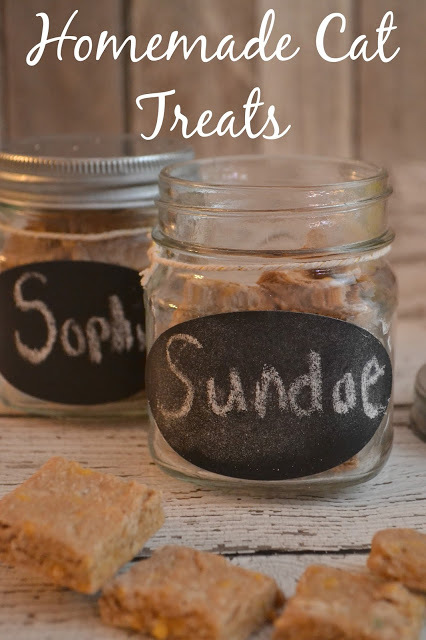 And I love the containers you keep the treats in – so cute!